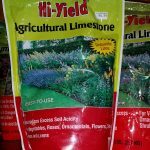 I would like to purchase garden soil which is free of fertilizers and poultry manure. Are there any brands that do not carry these ingredients? I usually don't recommend specific products, but in this case, I will. Any of the Pro-mix Series soilless blends will do. Just do a google search, and it will take you to their website, which has many different soilless media depending on your exact needs.